Every time that I took a turn in my Honda, the cans and bottles made a musical sound in my trunk. But when I hit the brakes, I realized that all of those cans likely toppled everywhere, and it was time to recycle. But the only day that I can run errands is on Mondays, and EarthWize in Valle Vista and San Jacinto are closed that day. The clerk at PIP Printing in Hemet steered me to Menlo Recycling, just a couple of blocks away on Buena Vista and Menlo. Let me just say one thing: Menlo Recycling is a serious recycling place, located in a warehouse with guys driving forklifts, so you probably don’t want to go there if you’re prissy or feint of heart. It’s not like EarthWize Recycling which boast clean, metal trailers, with helpful clerks and are conveniently located next to Stater Bros. grocery stores. The problem with that arrangement is that I always spend all of my recycling money in Stater Bros. and generally only get about $8 for my trunkload. When you drive up to Menlo Recycling, go directly to the back and get in line. (It’s kind of like the traffic flow at Strawberry Creek Shopping). Don’t do as I did and go in through the open exit. People get pretty excited when you do that–even if you’re a newcomer! Once inside, grab your own large bins and start filling them, separating your plastic bottles, aluminum cans and glass bottles. Nobody waits on you, so you help yourself. All around me were people busying themselves with their recycling. It wasn’t a social gathering at all! I filled my bins and looked around to see if they had left their caps on. I heard before that at some recycling centers, they make you take off the caps. I didn’t want to do that since I had more than 100 plastic bottles. She was sort of talking to me like I had never recycled before. Maybe because my bag broke and I had to chase down a couple of loose bottles. She also informed me that I didn’t need to crush every bottle, which was a relief. But, behind me to my right was a guy putting auto parts into his bin, which was a metal bin instead of a plastic one. He was taking his time about it, sorting through boxes and dumping what looked like chunky pieces into this huge bin. Where was all of his cans and bottles, I wondered! Then it occurred to me that he was recycling scrap metal! So what the heck is considered scrap metal? The first I heard of it was a sign past the bridge in Valle Vista that reads: “No-No Scrap Metal!” I imagined that, in the dark of night, people were stealing bumpers from his rusty old cars and getting top dollar. Scrap metal referred to big chunks of metal like you’d find in junk yards. It’s not those tiny nuts and bolts that the guy behind me in line was putting into his cart. The same lady was a wellspring of recycling information. The guys ahead of us were weighing metal strips that cover the bottom of doorways. Another guy had what looked like rusty brake drums. His total came to 75 pounds. In metal recycling, the heavier the piece, the better. She said that she’s recycled her pots and pans because the finish was gone. She said that ladders, wheelbarrows, computer parts, tools and even bags of screws are some things she’s recycled. Maybe I should add metal to my recycling repertoire. I do a lot of walking and have come across metal bumpers and parts that would likely fetch a pretty penny! When it came to my turn, I put the bins onto a huge scale, while the guy with the laptop was calculating the amounts. I ended up with a grand total of $18.98! That’s more than I’ve ever gotten before! 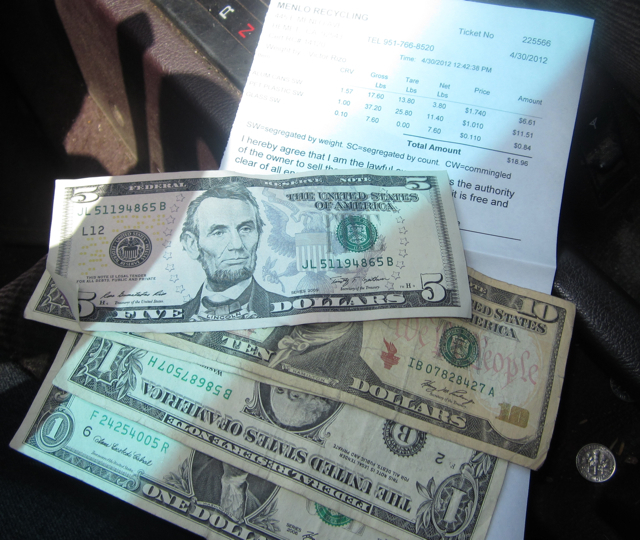 I had cash in hand and felt a little giddy about my scrap metal prospects! Maybe I could recycle that shopping cart that my sister gave me that’s rusting on my deck! And what about some of the bags of nuts and bolts that I never use? 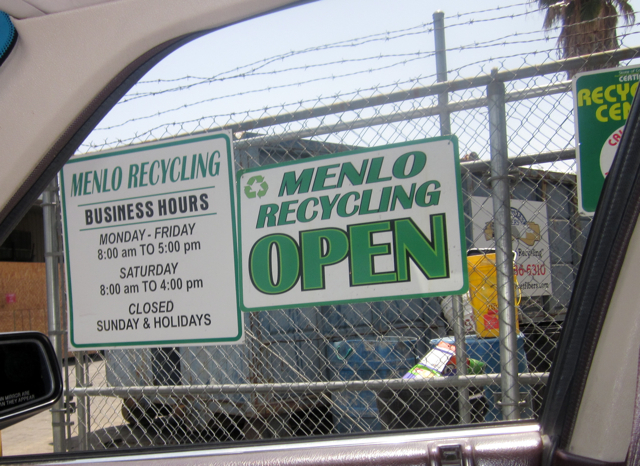 Have places like Menlo Recycling always been around, or have just sprouted up during these hard economic times? It reminded me of the 2001 economic crisis in Argentina (when I lived in Chile) where folks were stealing metal from public sculptures. At first, it was the gold, then the copper, and then finally, the entire bronze statues! This prospect of metal recycling appealed to me not just to clean out my shed, but to help clean up the Idyllwild environment. 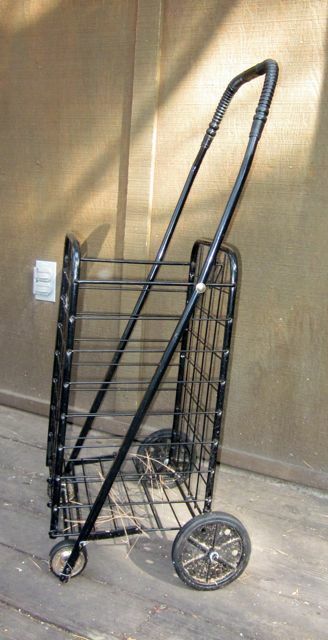 I’ll start with the shopping cart, the screws and the bumper that I saw in the bushes. If they take those, and give me a good price, then I’ll be hooked! I wonder what kind of music my trunk will make when I add heavy metal to the mix? Menlo Recycling is located at 445 E. Menlo in Hemet. Hours: Monday-Friday, 8 a.m. to 5 p.m., Saturdays, 8 a.m. to 4 p.m. Closed Sundays and holidays. Posted signs list prices and limitations of scrap metal recycling, including the need for a valid driver’s license. 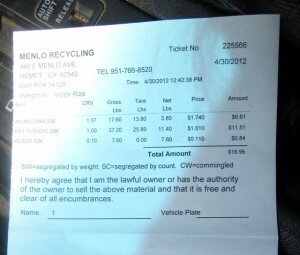 For more information, call (951) 766-8520 or visit www.menlorecycling.com. EarthWize Recycling is conveniently located in Valle Vista and San Jacinto next to Stater Bros. groceries. On their web site, there’s lots of fun facts about recycling. Visit www.earthwizerecycling.com. 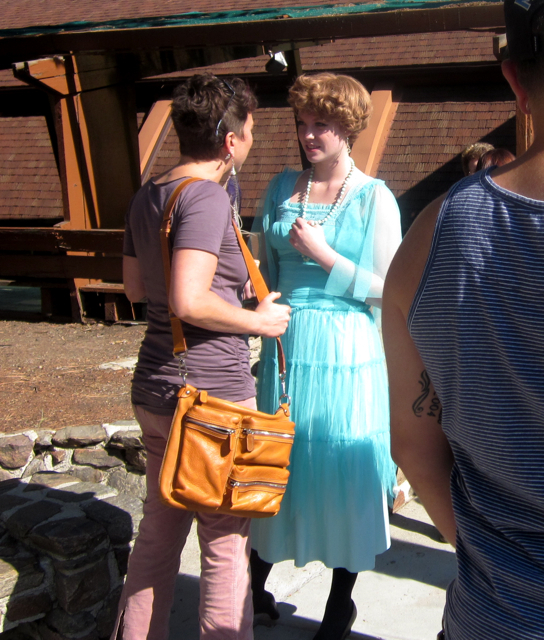 Since Time, with a capital “T” got top billing in the Idyllwild Arts Theatre Department’s last show, “Time and The Conways,” (written by J.B. Priestly) you knew Time was going to be a big part of the show. In fact, Time already mettled with the normal story sequence . The time warp was outlined in the program featuring a sand timer on the cover: Act One began in 1919 at Kay Conway’s 21st birthday party where you get to meet all of the Conways and their lovers. Act Two takes place 18 years later (after the Depression) when things went emotionally and financially haywire for the Conways. Act Three jumped back to later that same night of Kay’s 21st birthday, which helped to explain things. Act One opens with a family game of charades, with Mrs. Conway, the matriarch (Jessie), and her daughters, Kay (Gemini), Hazel (Sasha), Madge (Emily) and Carol (Celeste), and her sons, Alan (Zen) and Robin (Daniel). Everyone is happy, and looking forward to the future, but without their industrialist father, who had recently died. As it turns out, Alan who comforts Kay when she awakes from a moment’s rest and is now aware of the family’s not-so-great future. “Alan also received slights from his mother, who had definite ideas on the hierarchy of the Conway family,” said Kent-Harris. For his part, Kent-Harris said that it wasn’t hard to play the future and jump back in Time. “Well, we had different clothes on, for one thing, and we practiced it at least six times before the dress rehearsal on Thursday night,” he said. Rosanna, who played Joan Heiford, Robin’s wife, said that her character changed a lot, so it was easy to go back in Time. Time was not Rosanna’s friend. An outsider, Joan was tolerated by the Conways, but Ernest Beevers (Lewis) was never fully accepted by them. He was poor and lacked social graces, but turned out to be the biggest surprise. Kent-Harris thought that Hazel, a great beauty, didn’t marry Ernest for money. It appears that money was the motivating factor for Hazel, however. At the beginning of Kay’s birthday party, Hazel calls Ernest “a disgusting little man” and was rude to his face. However, only when Ernest manages to get a private moment alone with Hazel, telling her about his financial ambitions, does she start flirting with him. But for Ernest, Hazel was not a person, but a prize to be won. She was the great beauty of Newlingham, and to obtain her, would increase his social status and lead him to financial success. And when Ernest turns out to be abusive, Hazel doesn’t leave him. Why not? Because of the money of course! Since day one, Hazel was expected to marry a rich man and travel the world. 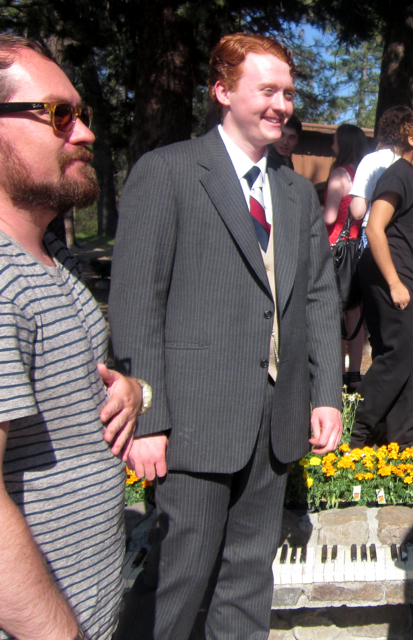 Yet, in reality, it’s not always that easy to grab the Gadsby’s of this world. And maybe she “could hear her biological clock ticking,” so she settled on Ernest, but will not leave–until the money runs out. 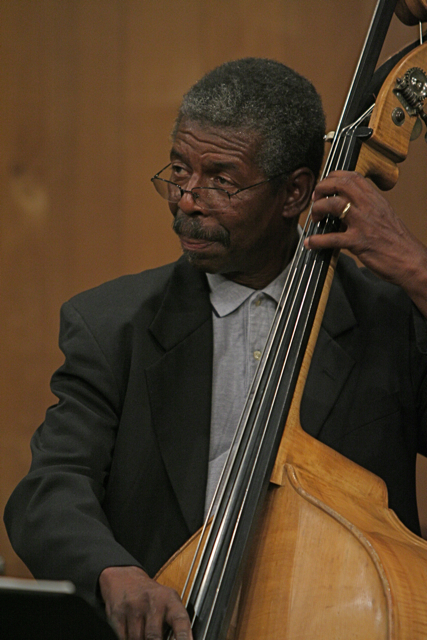 “I wish the play had another weekend run,” said Kent-Harris. He said it just got better and better each time they performed it. 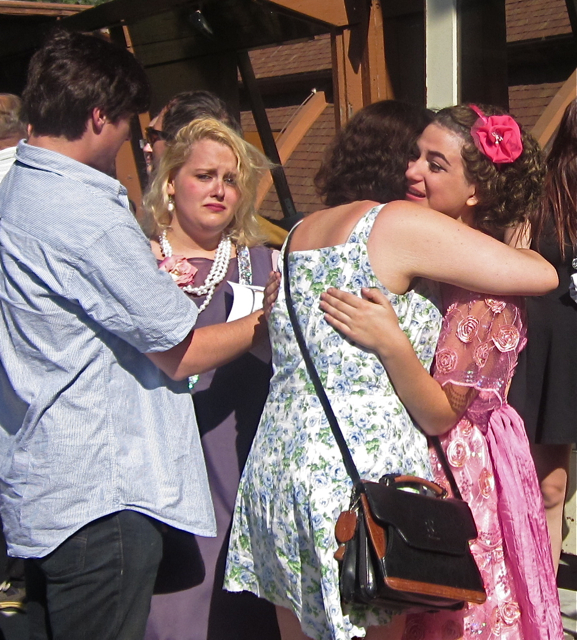 After awhile, the actors weren’t just reciting lines or waiting on cues, but felt like actual family and friends talking to each other. “What I would say next came naturally because that’s what I would say if I was Gerald,” Kent-Harris said. 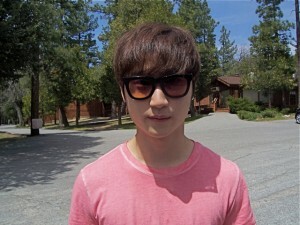 He thought the British accent wasn’t difficult because he heard it firsthand during summer school last year in London. He also learned a lot from British actors. And his uncle is a British solicitor, but he didn’t base his character on him. The day after the show, Kent-Harris was going with his parents to a Democratic fundraiser hosted by Nancy Pelosi. He said he didn’t have any immediate plans to get into politics. 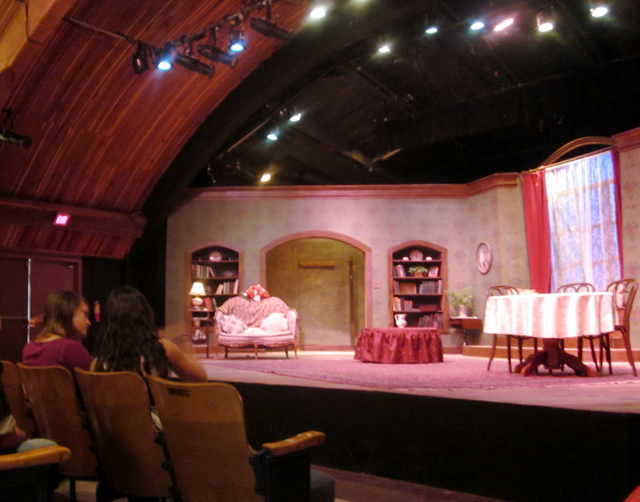 It would be wrong to sign off without mentioning the stellar set designed and built by Bonnie and Todd Carpenter. The set consisted of one large drawing room. It was opulant, with floor-to-ceiling windows, built-in bookcases and furniture that matched the maroon and green color scheme. In fact, it wasn’t wallpaper on the walls, but stenciling. Willy Latzo, the 4-time Mixed Marshall Arts (MMA) Champion who now owns Idyllwild Fitness Center, isn’t going to take off his shirt. Not now, and not this summer. OK, that just crushed my perceptions of bodybuilders, boxers and MMA champs. Go to Venice Beach and all the bodybuilders have their shirts off. They want you to see their muscles. They want you to ooh and ahh, and maybe touch them. It’s all part of the game. Even California’s former governor showed off his sculpted abs for the media. Willy is not going to show you his, but his wife will. In the flyer promoting free classes with the $40 membership, Willy points to photos of his wife, Ramona, in a tank top working on her biceps. 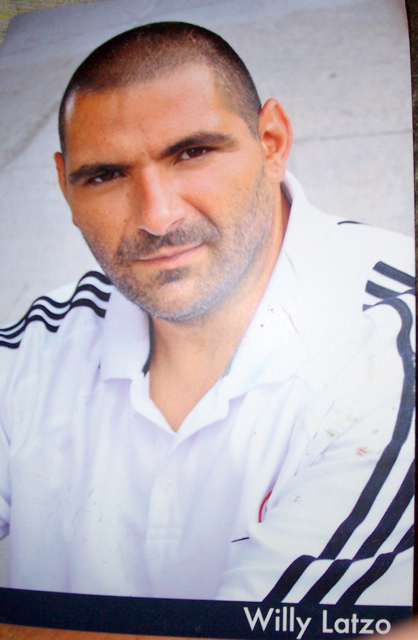 OK, so Willy, who owns a fitness center, where showing off a muscular body would be an asset, is being coy. Or is he being sly as a fox? “Even outside, you’ll always see me in sweats,” he said. Or just let others sing your praises. Jeffrey Taylor, from Green Cafe Internet, has been working out with Willy for the past two months. He’s lost about 25 pounds, mostly from sweating from Willy’s workouts. He said that he’s not trying to build muscle, but wants a cardiovascular workout. Jeffrey began to sweat. Up until now, the workouts have been challenging. They included hanging from ceiling straps, while pulling his legs up to his chest. Professional gymnasts only did those kind of feats. Now Jeffrey is building endurance by running on a Stair Master. A younger weight lifter at Idyllwild Fitness collapsed after walking 50 flights on the Stair Master. Jeffrey didn’t miss a beat. To further build endurance, Jeffrey takes the Tuesday Salsa Cardio workouts. Why would I bother? He’s not going to take his shirt off. Ramona is the only lucky one. Perhaps she can slip me a photo sometime? Idyllwild Fitness Center, 54423 Village Center Drive (below Mountain Harvest Market in Strawberry Plaza). Call (951) 659-5000. Monthly memberships, including classes, are only $40. Drop-in day rate: $15. Hours: Monday – Friday, 6 a.m. to 8 p.m., Saturday 8 a.m – 4 p.m. and Sunday 10 a.m. to 4 p.m.
Go directly to college, or take six months off and dance on a cruise ship? That was the happy dilemma for Maddy and Cheyenne, two Idyllwild Arts dance students, on Tuesday, April 17, as they headed for their audition at the Debbie Reynolds Dance Studio in Hollywood. Maddy, who got accepted into five colleges, but not her top choices, was exploring cruise ship options, and Royal Caribbean sounded promising. “On a cruise ship, you get to dance and travel the world,” Maddy said. It would be a six-month commitment if she made the cut. “I would have to defer my college enrollment, but then I could earn almost a year’s tuition,” she said. During her time at Idyllwild Arts, Maddy was a straight A student who didn’t have much time for socializing. Maddy said that Royal Caribbean would pay anywhere from $1,000 to $4,000 per month, depending on your contract. Dancers would be expected to work every day, however, all living expenses would be paid, including room & board, meals and insurance. And for the 8-week training session in Florida, Royal Caribbean would pay for the airfare, food and hotel fees. “They would also pay for your costumes, makeup and everything,” Maddy added. For their 10 a.m. audition, Maddy and Cheyenne wore heavy eye makeup and black dance leotards. Instead of their normal tight bun, they let their hair down. On the web site, Royal Caribbean said that there could be as many as 300 girls at the audition. As it turned out, there was only about 100. “That kind of competition kind of freaks me out,” Maddy said. Other audition criteria included height and weight requirements. Dancers had to be a size 0 to 6, and be 5 foot to 5 foot six inches tall, and have 7 years of dance experience. The two dancers had met all of the requirements, but Cheyenne didn’t think that the length of experience mattered all that much. “At the end of the day, all they want to see is if you can dance,” she said. The 100 dancers were cut to 30, and then to 10. Maddy made it to the second round, but then blanked out for a few seconds. Cheyenne knew where she messed up too, but was glad for the overall experience. She noticed after the cut, there was a certain uniform look to the remaining girls. She also noticed that she and Maddy were the youngest of the lot. There were mostly college girls, with some 30-year-olds mixed in. Even though the instructor at the Debbie Reynolds Dance Studio announced they were looking for clean dance techniques, Cheyenne noticed that the ones who threw their legs up over their heads made the cut. Cheyenne also met a girl who attended a school that prepped her for cruise ship dance auditions, and that girl made the cut. Cheyenne said that probably won’t attend any more cruise ship tryouts, but Maddy was encouraged to try another cruise line. Maddy hasn’t ruled out college in the fall, but it all depends upon scholarships, and if she could gather enough flight money to visit a couple of the east coast schools. She feels like she needs to gain a better perspective before the May 1 deadline. Neither Maddy nor Cheyenne knew about Debbie Reynolds, the actress and singer, who owned the dance studio where the audition was held. 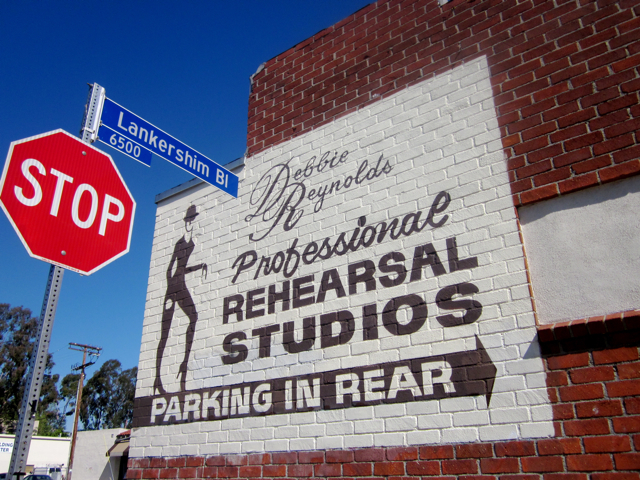 Debbie Reynolds established her dance studio in 1979 so that dancers could have a comfortable place to rehearse. All of Debbie Reynolds’ movies included some type of dance. She is best known for “Singing in the Rain,” (1952) with Fred Astaire. “‘Singing in the Rain’ and childbirth were the two hardest things I’ve ever had to do in my life,” Debbie Reynolds is credited for saying. Her children are actress Carrie Fisher (Star Wars, When Harry Met Sally) and TV commercials director, Todd Fisher. Debbie gave up acting (because she didn’t want to take her clothes off), yet has kept her love of dance. 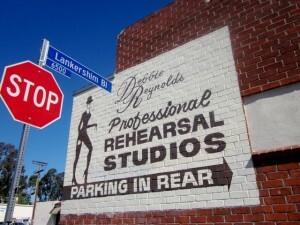 The Debbie Reynolds Dance Studio specializes in hip hop, jazz, and tap. 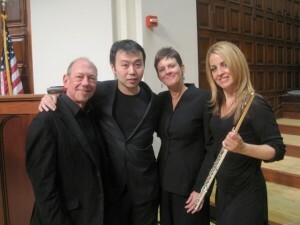 (from L) Nelms McKelvain, Liang Wang, Carolyn Beck and Sara Andon. Photo Peter Askim. For most music students, saying good-bye to a beloved teacher is painful, and starting over with another can be scary. “I’ve had the same oboe teacher since I was 10 years old,” exclaimed Camille, who is graduating from Idyllwild Arts this year. She was talking about Francisco Castillo, principal oboist for the Redlands Symphony. He’s the same oboe instructor as the popular Liang Wang, principal oboist for the New York Philharmonic. 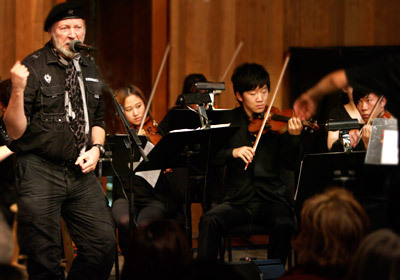 “There’s Francisco, the big guy,” exclaimed Shen, a clarinet player from Idyllwild Arts, who attended the concert with music director Peter Askim and five other students, including Henry, Yoana, Elena, Suriah and Cynthia. Francisco remained in touch with Liang, who graduated from Idyllwild Arts and the Curtis School of Music in Philadelphia. In January, Liang visited Idyllwild Arts, taught Master Classes and played with the student orchestra (see blog post, “NY Phil Oboist Makes Idyllwild Arts Proud,” dated Dec. 9, 2011). “Liang has brought such prestige to our instrument,” Camille said. Dr. Nelms McKelvain, piano instructor at Idyllwild Arts, drove down from Idyllwild to see Liang in concert. For the Saturday night concert, the students sat in the balcony in the Redlands Memorial Chapel, yet had a full view of the stage. Some of those around them had binoculars so they could see the performer’s faces. After the Redlands Symphony warmed up with “Overture to Le Nozze di Figaro,” by Wolfgang Amadeus Mozart, Liang played “Oboe Concerto,” by Richard Strauss. During the first two songs, Co Boi Nguyen, the assistant conductor, led the orchestra. According to the program notes, Co Boi is an assistant professor of music at the University of Redlands School of Music, and she usually conducts at least one program during the regular symphony season. After intermission, conductor Jon Robertson took over for the World Premier of Francisco’s work, “Rhapsody for Oboe, English Horn and Orchestra.” Liang and Francisco took the stage to great applause. 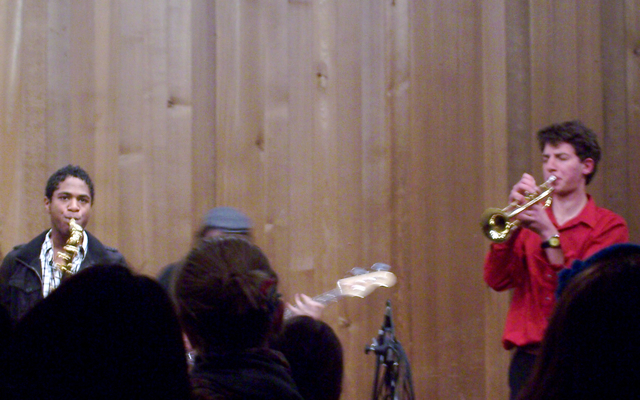 Liang was playing his oboe, while Francisco had a much longer oboe with a lower sound, which is the English horn. The two played well together, like father and son, carefully not upstaging each other. The piece was lively, and even frenetic at times, but was well liked by the audience. Both Liang and Francisco received a large bouquet of flowers afterwards. According to the program, Francisco said his rhapsody came about in a funny way. While he was talking with Liang about what pieces he would play with the Redlands Symphony, Liang suggested that they play something together. (from L) Carolyn, Francisco, Liang, Sara and Peter. Photo Peter Askim. “I jokingly said that I didn’t want to play an Albinoni or Vivaldi concerto, and would prefer something more interesting and new,” Francisco recalled. “Well, then, write something yourself!” Liang replied. For inspiration, Francisco listened to oboe concertos by Mozart, Strauss, Pasculli and Piazzola. 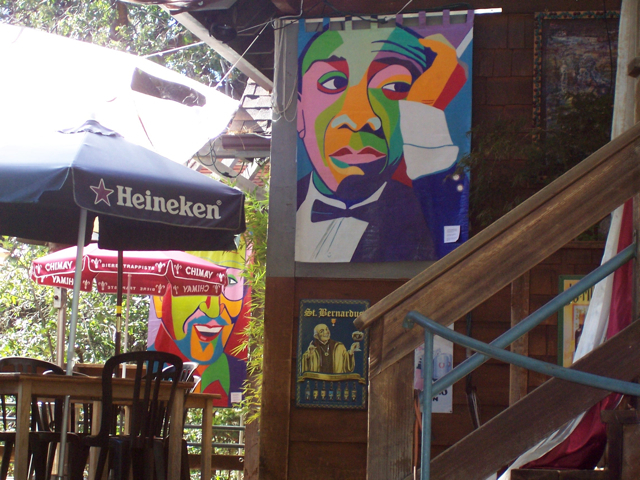 He also listened to favorite composers, Bach, Villa-Lobos, Charles Ives and Louis Armstrong, among others. In the end, Francisco turned to his oboe, English horn and computer to make something uniquely his own. “As you listen, you will find some of my favorite musical ideas, including Polyrhythm, Latin folk melodies, simple harmonies, virtuosic, demanding, yet sustained lyrical passages, silly moments are at the same time dramatic and tense,” Francisco wrote in the program. “However, if you are looking for a form, you won’t find it,” Francisco added. 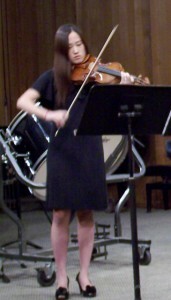 Camille, who was away at college auditions on Sunday, had heard a rehearsal of Francisco’s piece. “It’s New Music, and it had a very Latin feel to it,” Camille said. 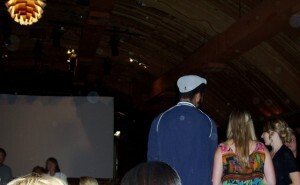 After the Redlands concert, the students and Peter went to the stage to meet and congratulate the performers. 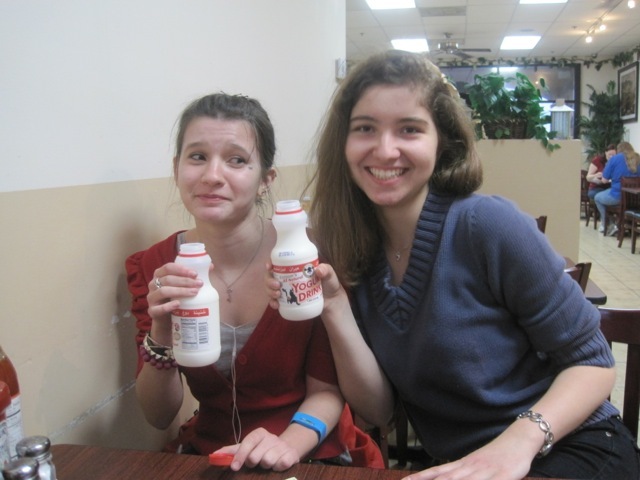 (from L) Yoana and Elena, students from Bulgaria, enjoy a pre-concert dinner. Photo Peter Askim. 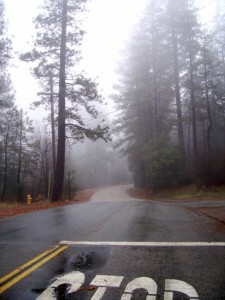 According to Peter, several principals from the Redlands Symphony have also taught music at Idyllwild Arts, including Todor Pelev, associate concertmaster/violin; Gail Cruz, violin; Carolyn Beck, principal bassoon; Sara Andon, principal flute; David Scott, principal trumpet and William Schlitt, principal timpani. Francisco, who dedicated his rhapsody to Liang Wang, conductor Jon Robertson and the Redlands Symphony, was all smiles afterwards. 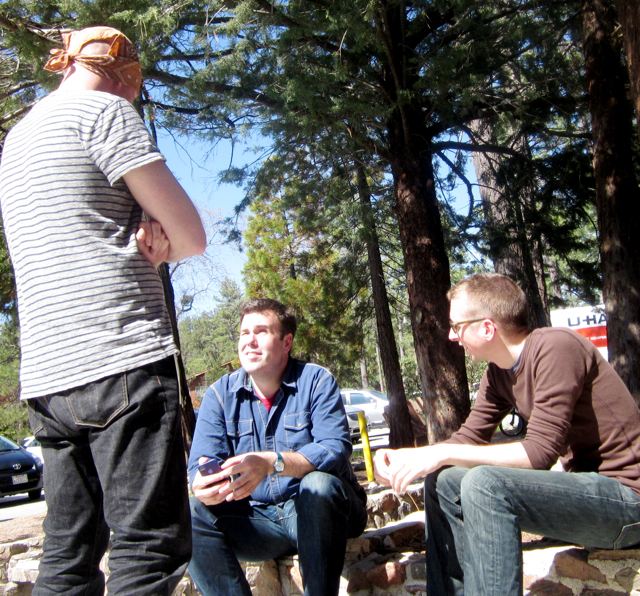 For more information, see Idyllwild Me blog post, “New Music: Dramatic Shift for Students” dated April 9. 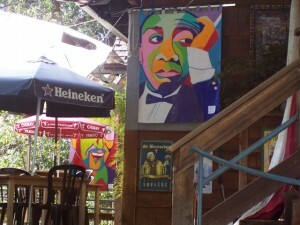 For his senior art show at Idyllwild Arts on April 20, Kevin is exposing a part of himself. In fact, he’s going to be part of an ongoing installation. He’s showing some large, abstract paintings, but his installation showcases an unusual closet along with some track music that he mixed himself. 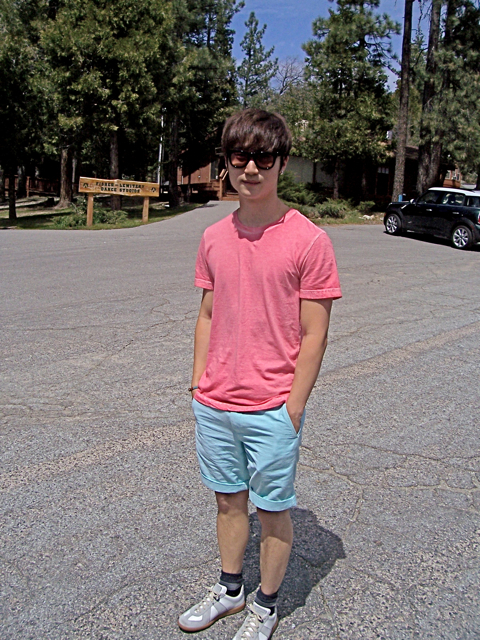 Kevin is a 4-year senior, which means he attended Idyllwild Arts from his freshman to his senior year. In Kevin’s closet installation, he’s selected only black and white clothes. “It’s kind of a statement about human growth,” Kevin explained. For example, white clothes would identify him as a baby, while black clothes would show him in old age. As the track music changes, Kevin plans to change clothes. “I have to practice a lot to get it right,” he said with a smile. Kevin also has some large, abstract paintings that together form a butterfly. 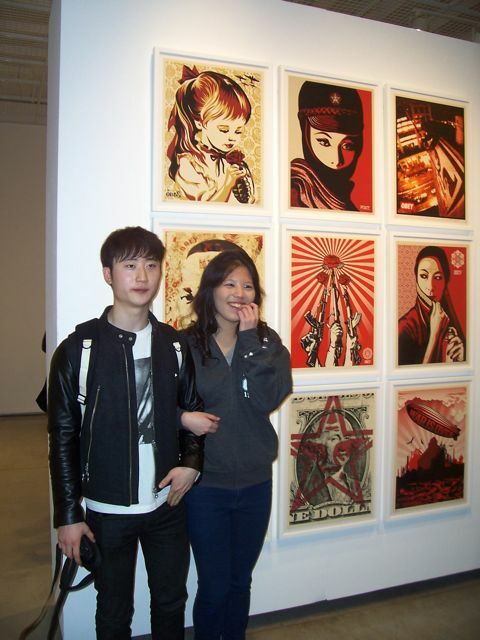 A few months back, Kevin got some encouraging words from Idyllwild Arts alum and street artist, Shepard Fairey. 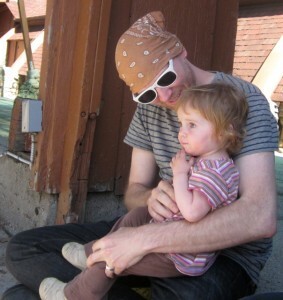 In fact, there’s a photo of the two of them on the Idyllwild Arts web site. 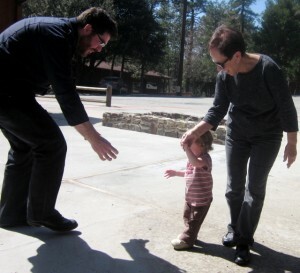 When he visited Idyllwild Arts on Feb 10, Shepard gave a lecture and held a Master Class for the visual artists (See “Welcome Back” Idyllwild Me post dated Feb. 16, 2012). Perhaps Kevin is taking Shepard’s recommendations to heart as he “performs” his closet installation on Friday, April 20 in the Parks Exhibition Center. Also showing that evening are Visual Art seniors Bella, SoYe and Mia. Like all Idyllwild Arts events, Senior Show II is free and open to the public. For more information about student art events at the Parks Exhibition Center on the Idyllwild Arts campus, visit www.idyllwildarts.org or call Mallory Cremin at (951) 659-2171, ext. 2251. ‘Bong of the Dead,’ ‘Chopper Chicks in Zombie Town,’ ‘Dead Men Don’t Die,’ ‘Flesh Eating Mothers,’ ”Oh, My Zombie Mermaid,’ and ‘Plan 9 from Outer Space’ are among the more curious titles of zombie movies listed on the internet. You could say the world doesn’t need another zombie movie. Armani is talking about “Life After Death,” his short film that was “green lit” recently. (Green means ‘go’ in the film world). The high school students that make up his crew began shooting yesterday. There’s no ‘zombie’ or zombie reference in the title of his film, which was intentional. In fact, Armani doesn’t even want to discuss zombies. However, he will talk about is his storyline. “Life After Death” is not the first film at Idyllwild Arts that was written one way and turned into quite another. Two years ago, “Prima Ballerina Assoluta,” Dhavit’s 18-minute short film about ballet dancers, started out as a Kung Fu ninja fighters movie, with lots of death and fight scenes. 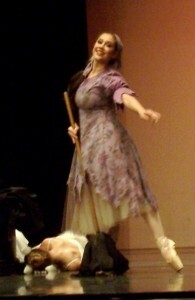 (See “Kung Fu Ballerina” blog post dated 4/20/10). “But then Isaac (Webb) and I realized that the only ones on campus athletic enough to carry off a fight scene were the dancers, so we had to change it a bit,” Dhavit said. Armani has plenty of students willing to turn into zombies for him, but he wants to make sure they don’t take over the movie. The familial relationship is key. 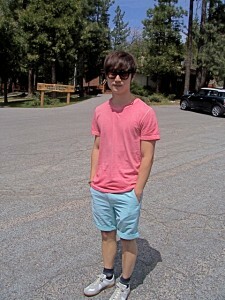 Kai, a former film student at Idyllwild Arts, said that horror films and night shooting takes a lot of work. Armani said that most of “Life After Death” will be shot during the day or inside the house at night, so lighting isn’t going to be a problem. Bruce Ryan donated the funds for the sound stage, and his son often lets film students use the house when they’re away. And it’s secluded enough that you wouldn’t see zombies roaming on Tollgate. 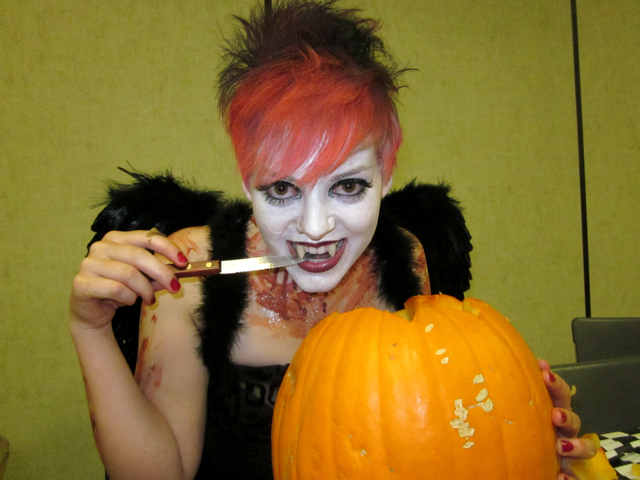 Not too long ago, zombies were roaming around on campus. They were not the undead, but students playing a Humans vs. Zombies tag game that lasted more than a week. Throwing socks seemed harmless enough until one dancer lost her balance in all the excitement and dislocated her shoulder. “The sock didn’t hurt her, but her heavy shoulder bag pulled her down,” explained a student who witnessed the fall. 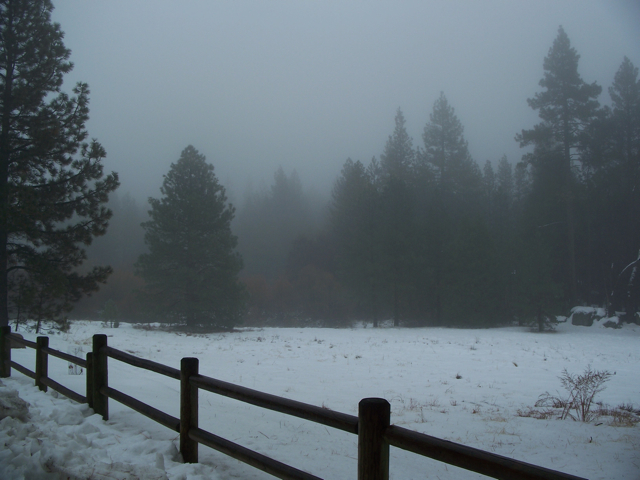 As a heavy fog rolls up the mountainside, Idyllwild appears to be the perfect setting for a zombie movie. Likely, the students have already wrapped up shooting. 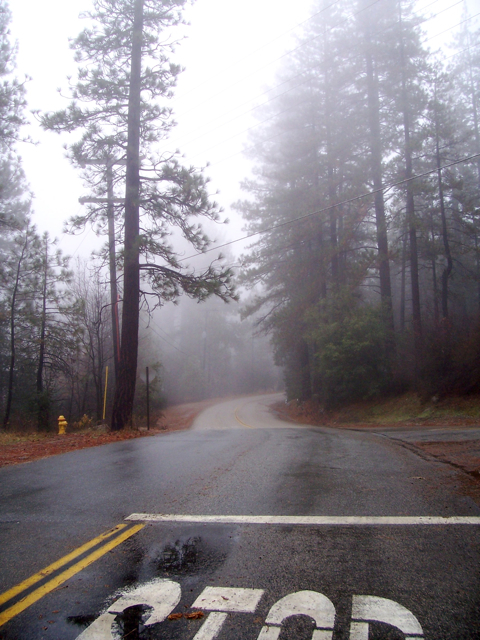 But in this small town, where many residents believe in fairies, ghosts, and Idyll-Beasts, it’s possible that zombies already roam Hwy. 243. “Life After Death” and other student shorts will be screened at the end of the school year. The film screening is free and open to the public. For more information about the film department at Idyllwild Arts, visit www.idyllwildarts.org.